Give up painting, or go to war! This was the choice Claude Monet’s father gave him in 1861 when he was 21 years old. Disillusioned with his son’s early choice to be an artist, a painter, Monet’s dad offered him a chance to avoid the draft into the French military’s First Regiment of African Light Cavalry—if he gave up painting. Faced with this difficult decision, how did Monet know what to do at such a young age? We may never know, but we can learn a lot from what followed after he made his choice. Ultimately, Monet chose to go to war rather than give up painting. He served with the French military in Algeria. He literally would have rather died in war than give up painting. 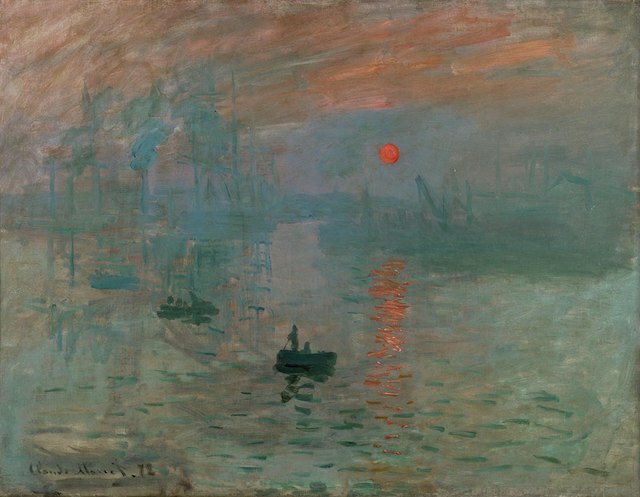 Sixty-five years later, Monet died at his home in Giverny, France as one of the world’s most prolific painters and the founder of Impressionism, a term coined after his 1872 canvas, “Impression: Sunrise,” that gave the movement its name. Over the course of his life, Monet produced over 2,500 paintings, drawings, and pastels as he attempted to capture the changing effect of light en plein air, the style of painting associated with Impressionism. Although his paintings can be found all over the world, a majority of them are in Europe. Eager to learn more from this great artist and to discover some of his rare works, I bought a ticket to Europe. My journey started in Denver where I took a plane to Frankfurt, Germany. After wiping the jetlag from my eyes, I took the Inter-City Express (ICE), a high-speed train to Basel, Switzerland where the town intersects with France and Germany. While traveling 175 mph, I called my former research assistant, Alfredo, who lives in Vevey, Switzerland. It had been almost a decade since we worked together in Honduras, but I knew that he’d be up for a new mission—finding rare works of Monet. It had been far too long since we’d seen each other. Fortunately, this mission brought us back together. By the time my train arrived at the Basel Swiss Train Station (Basel SBB), Alfredo was waiting at the bottom of the escalator. We gave each other a big hug and then ate a quick lunch in the market where we plotted and planned to encounter the father of Impressionism. We called a driver to take us to Fondation Beyeler where 62 of Monet’s paintings were being shown between January 22nd and May 28th, 2017. Upon our arrival, Alfredo and I immediately inspected the scene. The small water lily pond at the entrance to Beyeler was perfect; we knew Monet had to be here. Upon entering the galleries, we encountered throngs of people clamoring to be close to Monet. Everyone in the room was eager to experience his paintings, even if they had to push past, or breathe down each other’s necks to get more intimate with the colors and brushstrokes. As the spectators danced around each other with their phones making movies, others took photographs like paparazzi pouncing President Obama’s motorcade. After all, it was Monet. The 62 paintings on display originated from three continents: Europe, Asia, and North America with the countries of France, Japan, and the United States playing particularly important roles in bringing together the exhibition with Fondation Beyeler. Fifteen paintings from private collections that had rarely, if ever, been seen accompanied the 47 others. Alfredo and I had finally found rare works of Monet that neither of us had ever seen; mission accomplished. But, we still had a lot to learn. Apart from the art provided by the private collections, the rest was contributed by the Musée d’Orsay, Paris; the Metropolitan Museum of Art, New York (The Met); the Museum of Modern Art, New York (MoMa); the Museum of Fine Art, Boston; and the Tate Modern, London. Monet’s works from these collections complemented the 15 that had rarely, if ever, been exhibited. Despite the crowd, in moments, I found myself alone in front of Monet’s paintings with nothing obstructing my connection with the experience. At times, Alfredo was doing the same. When we weren’t caught in an eddy of people, we sometimes stood together, looking and feeling enmeshed in color. 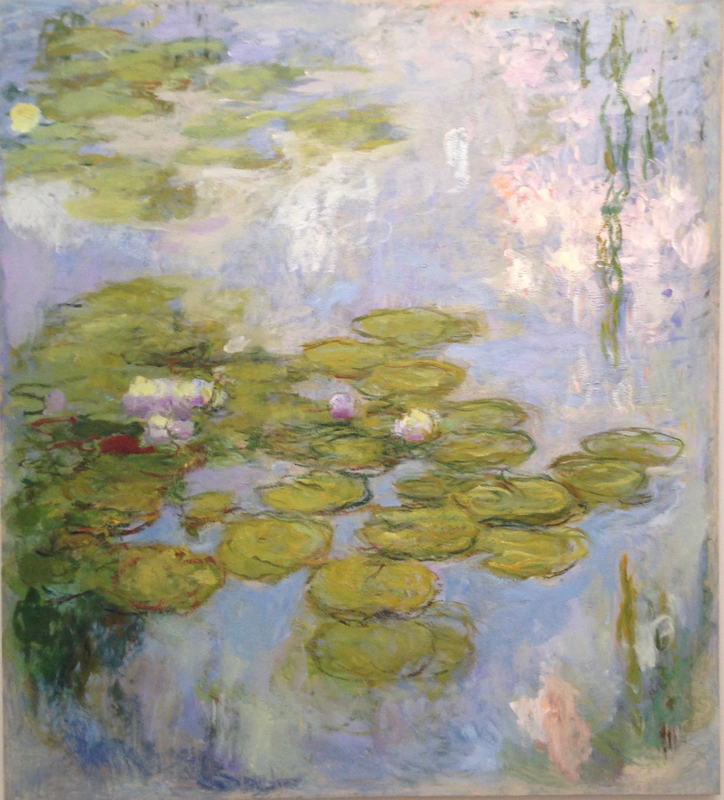 Upon entering one of the rooms about midway through the exhibition, I was immediately swallowed up by the color, fluidity, and grace of Monet’s “Water Lilies (1916-1919).” This painting is a part of the Beyeler’s permanent collection. As I read more about Monet’s water lilies, I understood what made it possible for him to make the choice to go to war over giving up painting. He had foresight and a fire that burned within that fueled his unquenchable desire to paint. For Monet, to not paint would have been the equivalent of being dead. Monet’s “Water Lilies” were painted over a 30-year period at his home in Giverny, France. Prior to his life in Giverny, Monet had traveled to Norway, England, Italy, and the south of France where he also painted, but he was always happiest in Giverny. The water lily pond that became a main subject of his paintings didn’t exist when he first leased the home and gardens in 1883. When he moved to Giverny, he was 43, the same age that I am now. Once Monet’s family settled in Giverny, he threw himself zealously into refining the flower garden known as “Clos Normand.” His Japanese inspired water garden, the water lily pond, came a decade later. Using his skills as a landscape architect and as an engineer, he began envisioning a personal space rooted in nature to fuel his passion for “en plein air” painting. In 1893, he began constructing the pond and filled it by diverting water of the Epte, a quiet river that flows into the Seine. Today, over 500,000 people visit his gardens each year. Upon learning of Monet’s foresight to create the water lily pond, it became clear to me that he not only possessed the capacity to paint what he saw in nature, but that he also had the ability to envision how he wanted to shape nature and then paint it. The curved Japanese bridge that he built in Giverny, and immortalized on canvas, was created with the same boundless energy that made him one of the most productive painters in the world. His creative output was prodigious; even today art historians have not been able to accurately count the number of paintings he finished. Concerned with his posthumous reputation, Monet added to the mystery by destroying an unknown number of canvases, sometimes by burning them. Other paintings, like the rare 15 exhibited in Basel, were uncovered later as private collectors took them out of the lonely confines of their riches to show the world. At the age of 60, in 1900, Monet suffered temporary loss of sight in one eye, but he kept painting. His eyesight suffered further at the age of 74. A Paris eye specialist discovered that Monet had a cataract in each eye. Fearful that he had little creative time left, Monet began finishing paintings as quickly as possible. Despite his inability to see clearly, he worked feverishly for another 12 years to complete his vision for the water lilies, some of the canvases were 17 and 19 feet in length. Monet eventually produced water lily paintings of immense proportions, beyond the size of anything ever produced by an Impressionist in terms of the scale of the paintings. In 1923, Monet underwent two cataract operations that partially restored his sight, but the surgery left him with veiled vision and distorted color perception. Still, Monet continued to paint; his internal vision was clearer than ever. 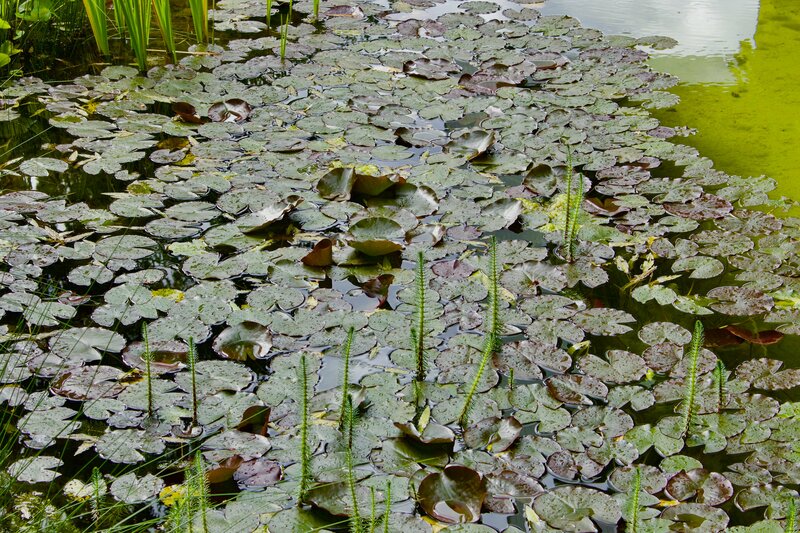 Almost blind, he laid out detailed specifications for the display of the water lilies. On December 5, 1926 at the age of 86 Monet died. The following May, the monumental water lily panels, “Decorations of Nympheas,” were permanently installed at the L’Orangerie Museum in Paris, France bringing to life the words he spoke to Guillemot. Although Monet nearly lost his eyesight, he found a way to transfer his life-long vision as a painter in ways that continue to tantalize audiences around the world. As Alfredo and I headed back to the train station; I couldn’t help but ask; what do either of us love so much that we would risk our lives in war over, rather than giving up that which we love? And, in that moment, we had our new mission; to discover our deepest truth so that one day we might also leave the world with more color than it had before.